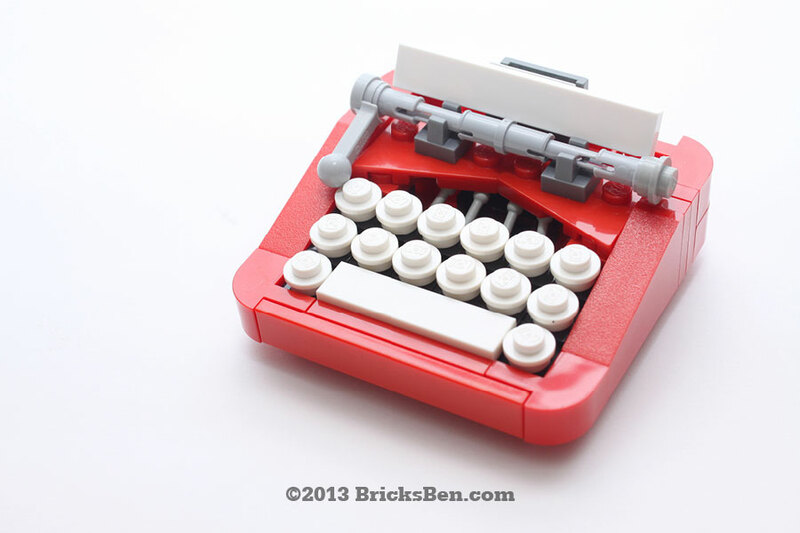 Our Retro Typewriter is featured in the best LEGO® blog on the web! Could this be just your type? The typewriter lives on in our LEGO® version! This is a perfect example of how LEGO® elements can pack so much detail in something so small. A retro creation for both the young and the young at heart – imagine this typewriter on your desk! Construction notes: On the “terraces” that the keys rest on, the use of SNOT (studs not on top) technique with headlight bricks (see coloured parts in cross-section view) works well in creating a gentle slope that matches the external casing. Note also the use of mini levers for the typebars! Wanna see this made into an official LEGO® product? Vote for our Retro Typewriter on LEGO® CUUSOO! More from Go Go Retro: Chapteh and Rotary Phone.